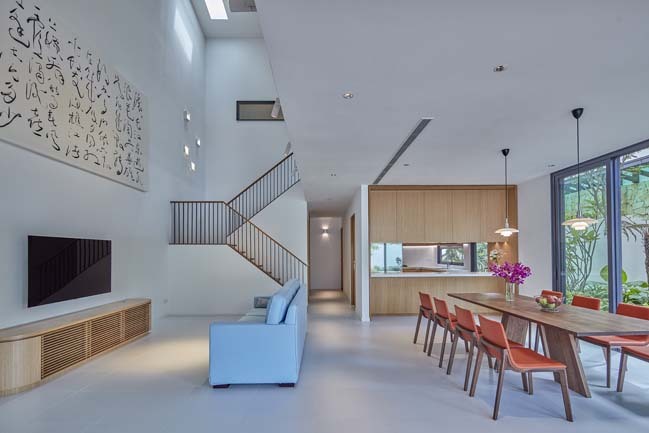 This modern villa was designed by Atelier M+A to response to the tropical climate in Singapore. 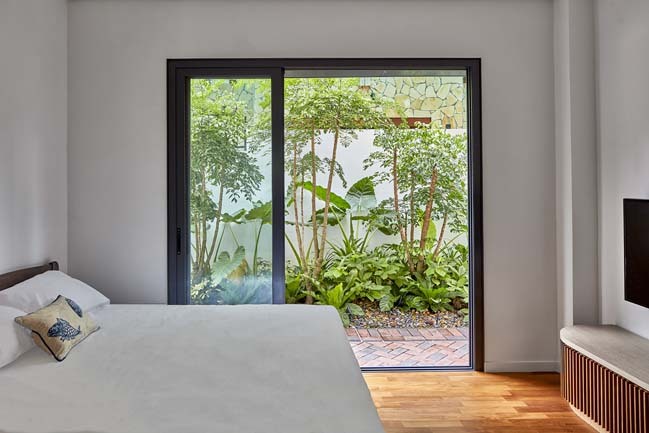 The shaded outdoor spaces such as patio and the deck terrace enable the residents to enjoy the outdoor activities yet can be protected from the strong sun and tropical rain. 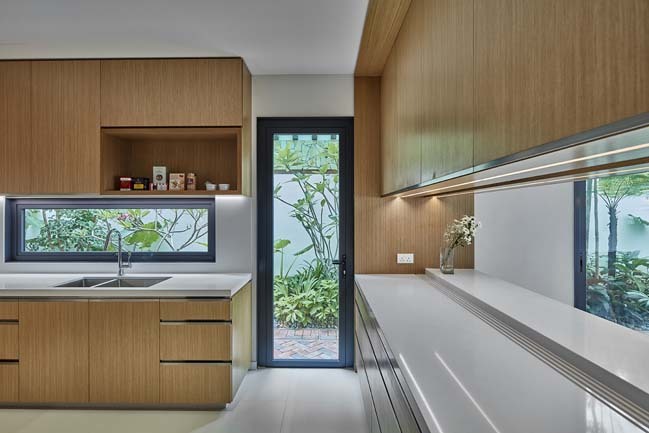 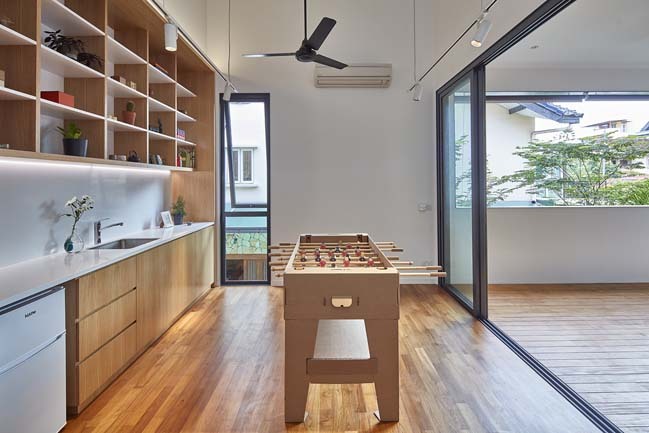 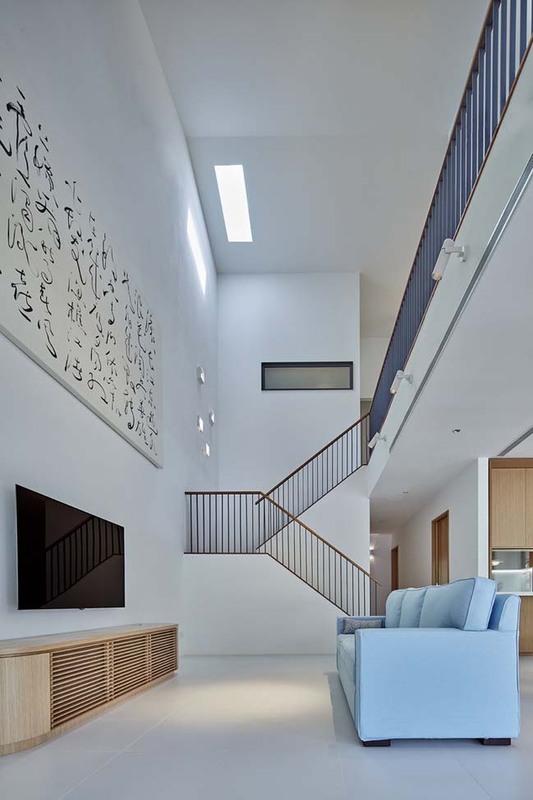 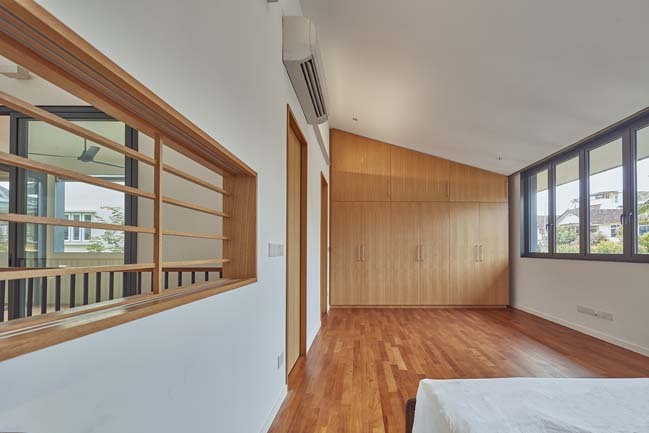 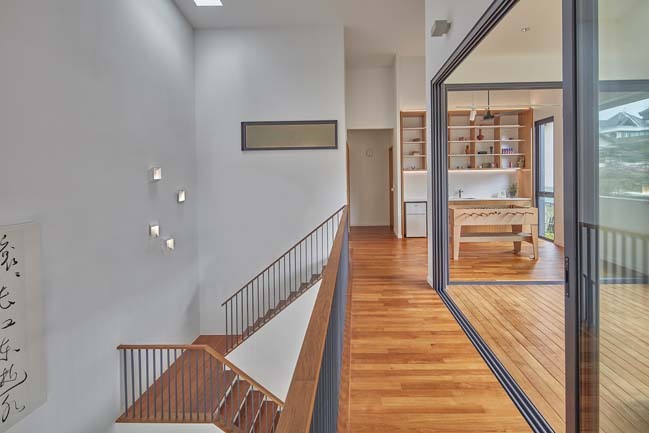 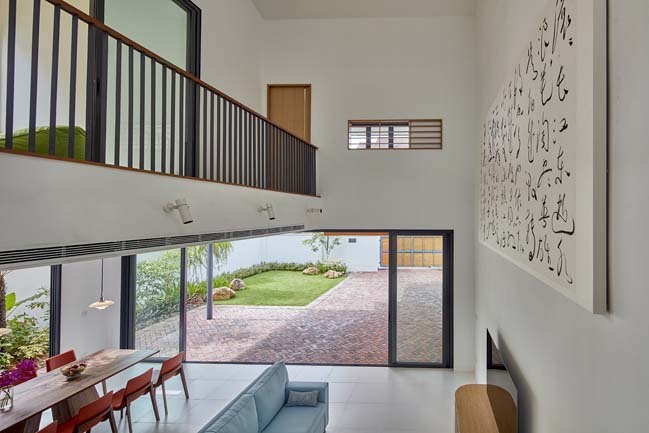 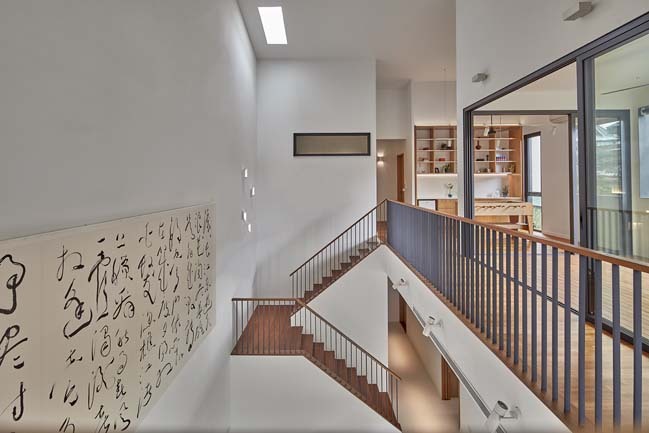 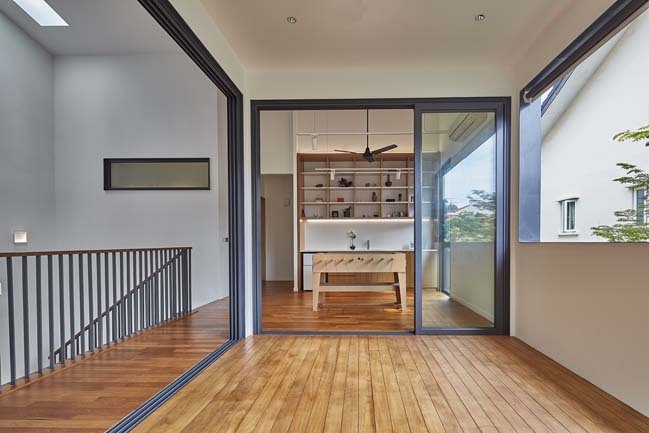 Project's description: The 8.5m high ceiling space welcomes you upon entering the house, and the high ceiling space connects multiple interior spaces horizontally and vertically to promote interaction among the family. 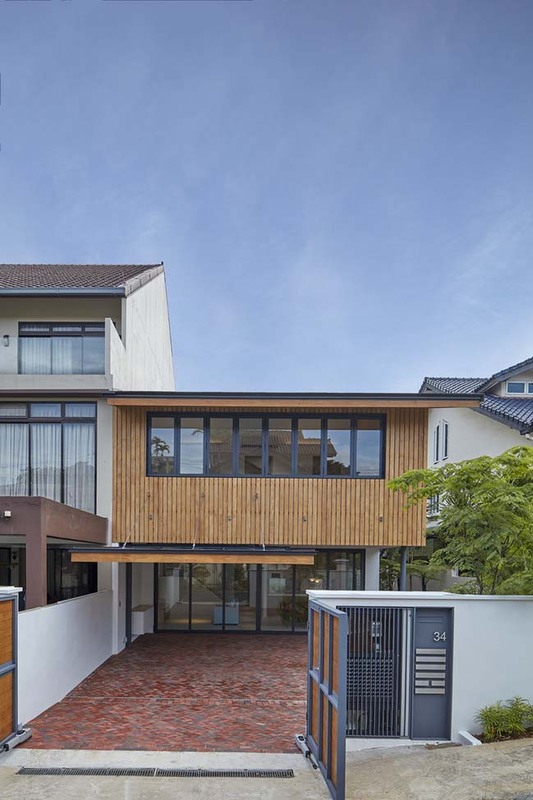 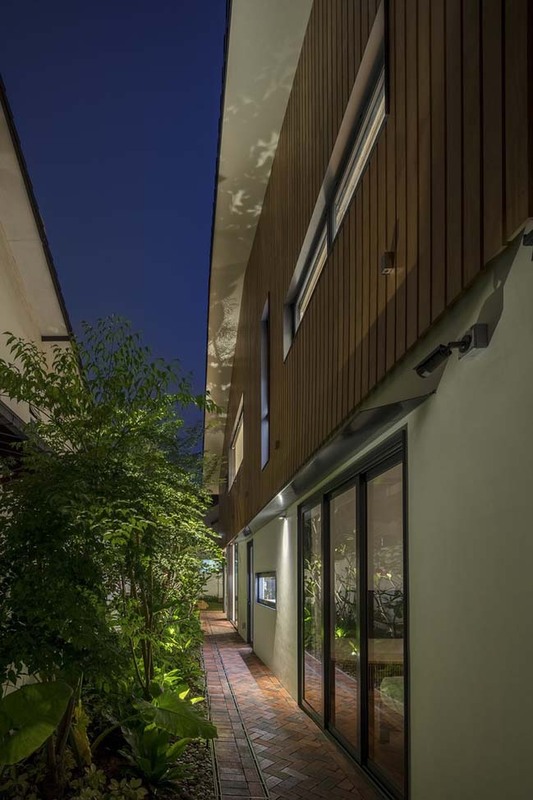 The exterior of the house is characterized by a gently-pitched tile roof with a timber-cladded facade. 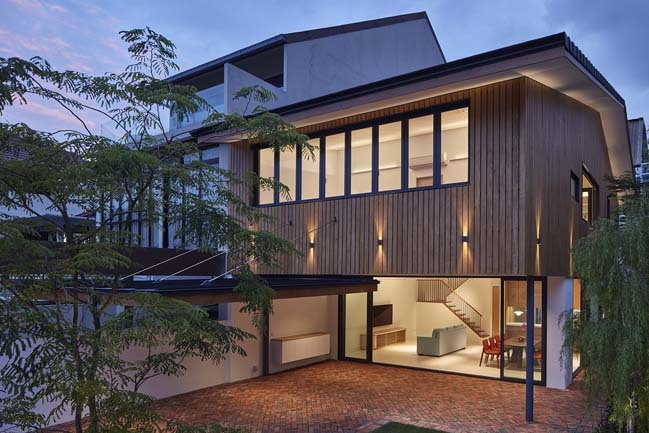 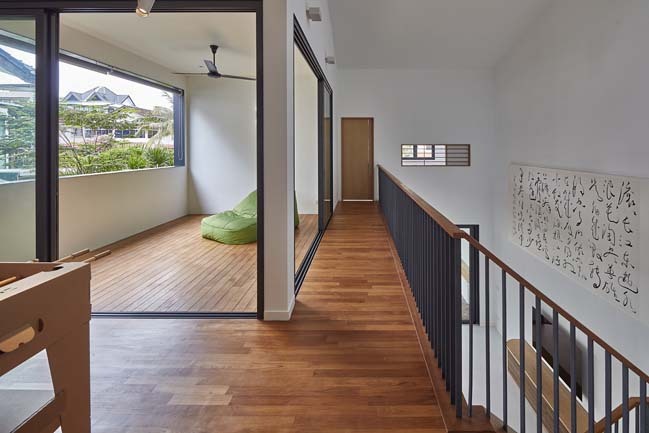 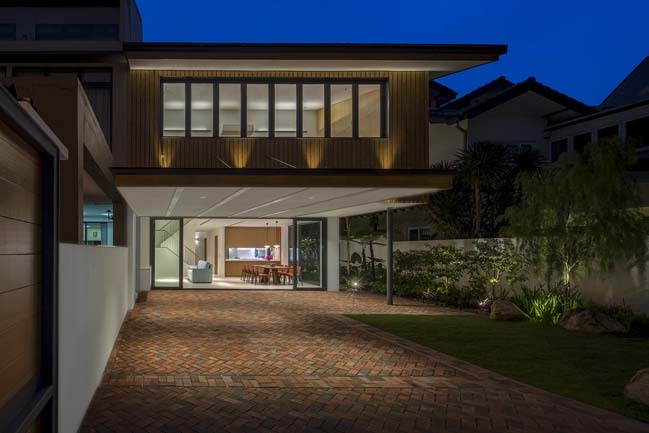 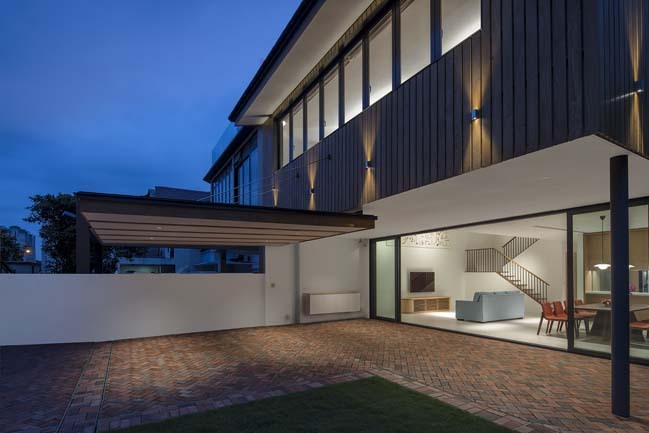 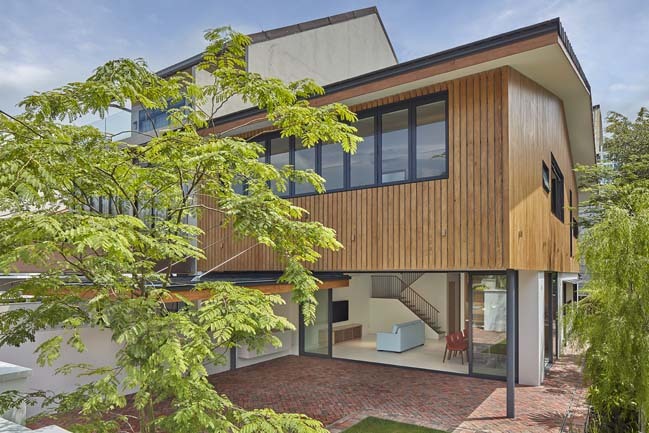 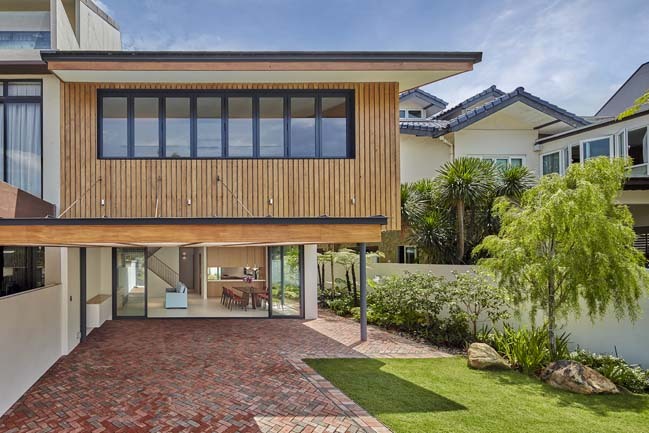 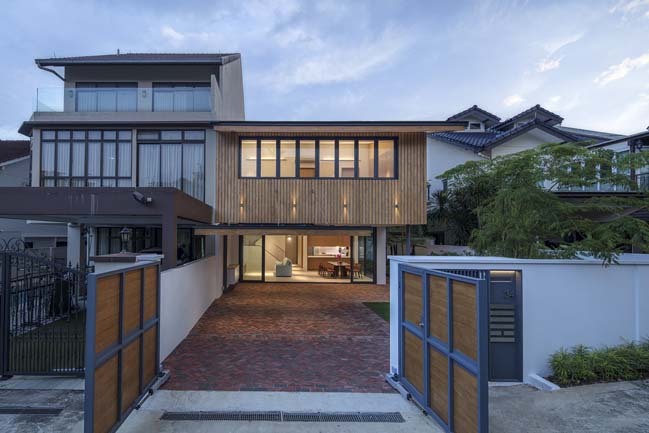 The gentle pitch roof keeps the form of the house low and intimate, and the timber cladding adds a warm touch to the house and blends well into the abundant greenery of the suburb area of the island.